Welcome to Tracy’s place… Think PINK! 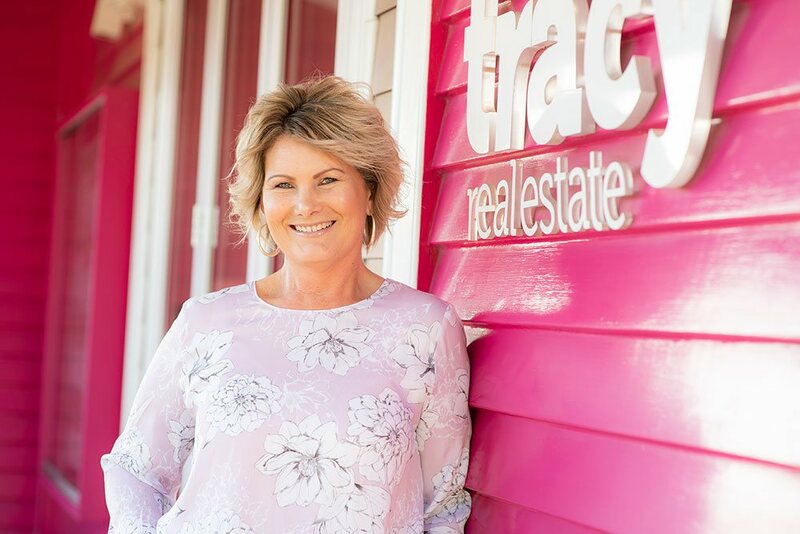 When you list with Tracy Real Estate, you get Tracy. It’s personal! I don’t pass you onto another salesperson who may not value your property as much as you and I do. I’m personally involved from start to finish; I will know your property like the back of my hand, and will ensure that the buyer knows all the special attributes of your property, and why it is just perfect for them. Real estate and law – an unbeatable combination! Before I started in real estate over 15 years ago, I worked for 16 years as a Legal Executive. I create contracts that are rigorous, robust and reliable – there are no ghastly surprises. I hold the highest qualification in the Real Estate Industry; I am not only a licensed salesperson, I am an Agent … skill, knowledge and expertise that has taken years of specialised training to achieve the requisite qualification to work independently under my own Brand. It’s a maximum fee of 2.75% [plus gst] up to $375,000 and 1.75% thereafter. There’s no standard $500 administration fee, either! Your customised marketing campaign is designed to fit your budget and reflective in the value of your property. Your property will feature across an extensive media platform to ensure buyers locally, nationally and internationally are found, so we can ensure we effectively market your property to find the buyer, who will pay the most, AND then make sure they do ! The marketing campaign of your choice, are not payable in advance either. There’s no “one size fits all” here – you and your property get a tailored marketing package that suits your needs. And if things change along the way, we adapt the programme to work best for you. So, are you ready to THINK PINK? But don’t just take my word for it. Ask around, and read some comments from people who recently decided to THINK PINK. We cannot thank Tracy, Lynne and Trev enough for how they helped us both sell and buy. They truly are the A team of real estate in my eyes. Copyright 2017 | Tracy Real Estate. All Rights Reserved.